Go the distance without concern for water in the backcountry with the Frontier Pro. This ultralight and compact water filter is certified to remove Bacteria, Cryptosporidium, and Giardia to EPA standards. 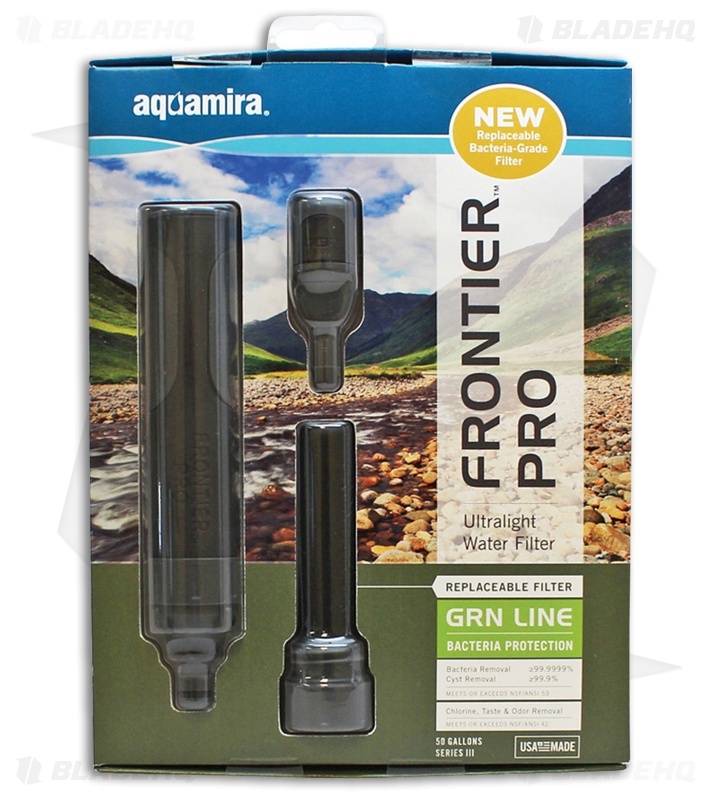 The Aquamira Frontier PRO also reduces chemicals, chlorine, bad taste and odors and is certified lead free to NSF/ANSI-372. The Frontier Pro is the best backpacking companion you can have.